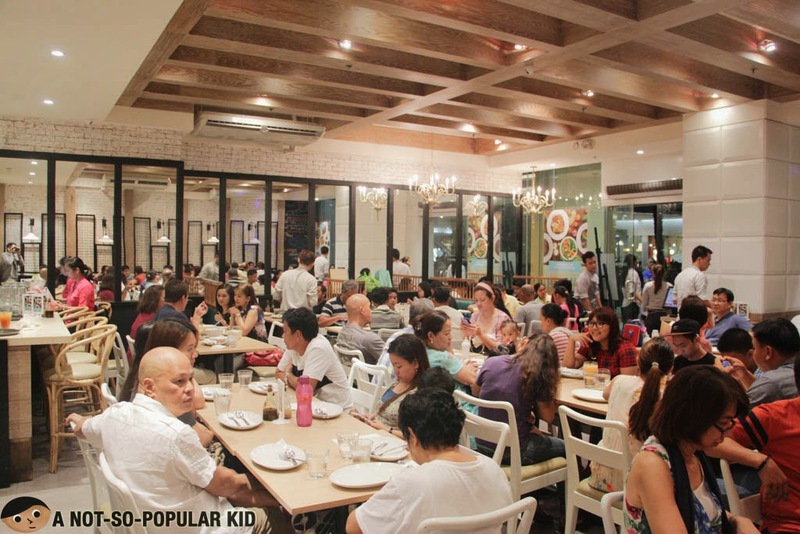 For our regular Sunday family dine out, we decided to go for something close to our hearts - Filipino cuisine. 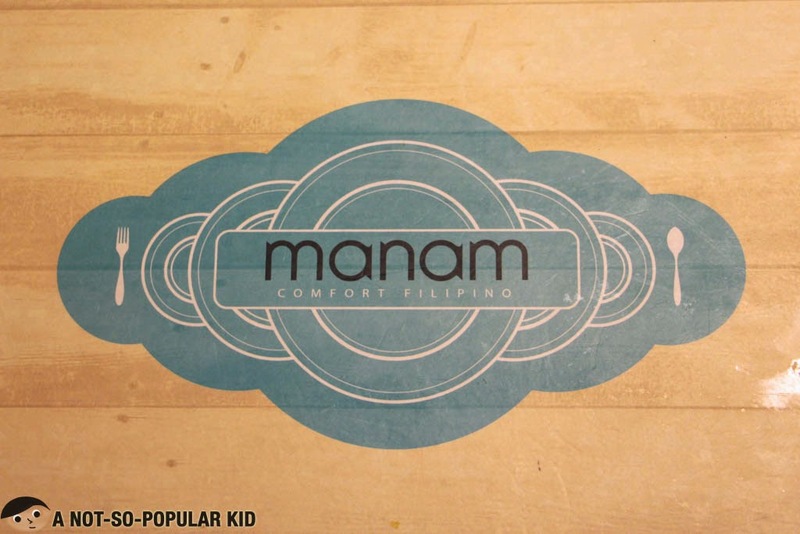 We had been trying to give this place called Manam a try, but we keep on finding something more "interesting". Finally, we actually got to try it out that evening. The place has a great neat modern interior but was undermined by the lack of comfortable spaces. Also, the room temperature was not as conducive as it may be. Other than these, I would say that this a such a lovely place! It took us about 20 minutes before we got seated because of the long queue, and it was expected since it was Sunday. What I wasn't able to anticipate was even if the orders were taken ahead, it still took 10 minutes before the dishes started coming in. 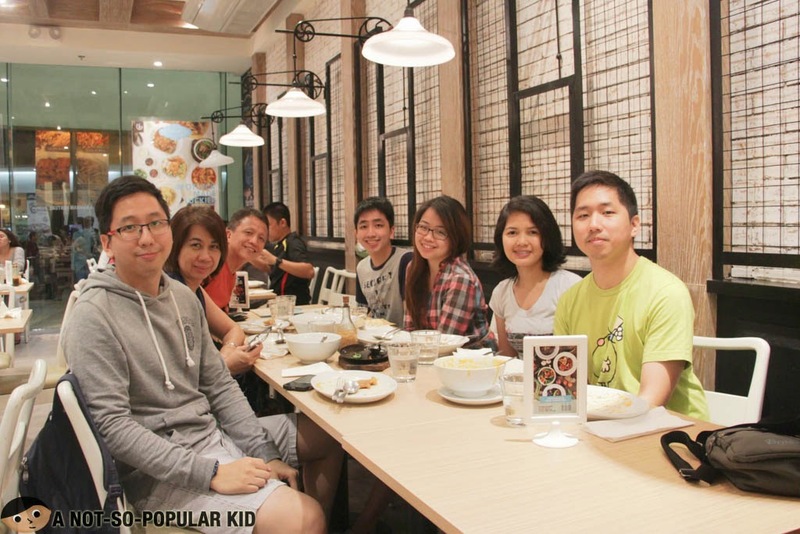 Now, due to our growling hunger, we immediately kept ourselves busy eating. 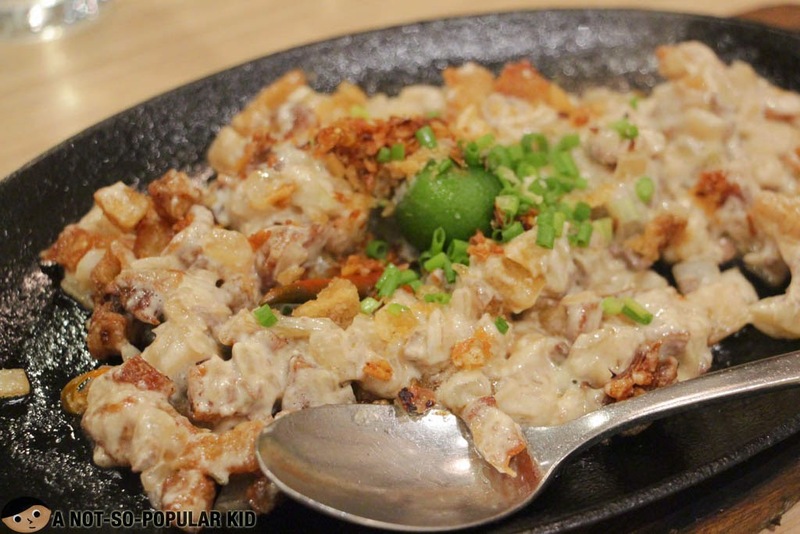 House Crispy Sisig - a Filipino favorite! The sisig was nicely done with the creaminess from the mayo and the right combination of subtle sweetness, sourness and citrus (from the squeezed calamansi). 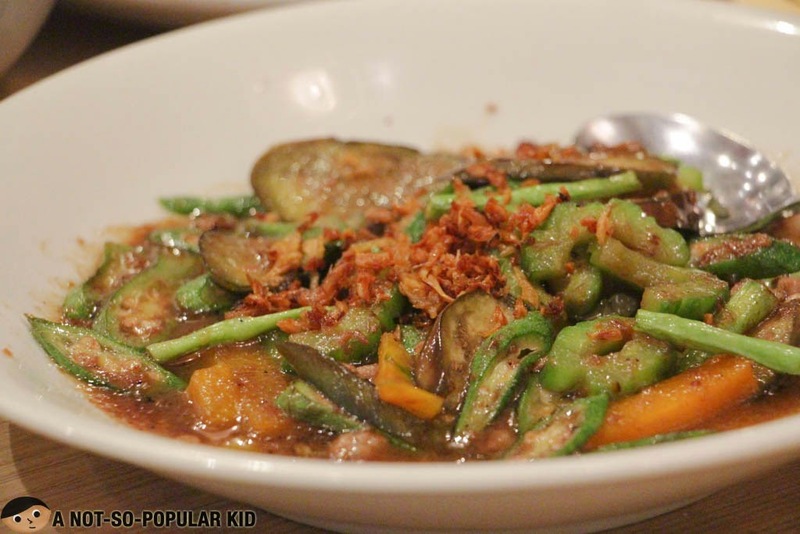 Although not as visually enticing, the pinakbet had this delectable goodness from the right blend of bagoong. 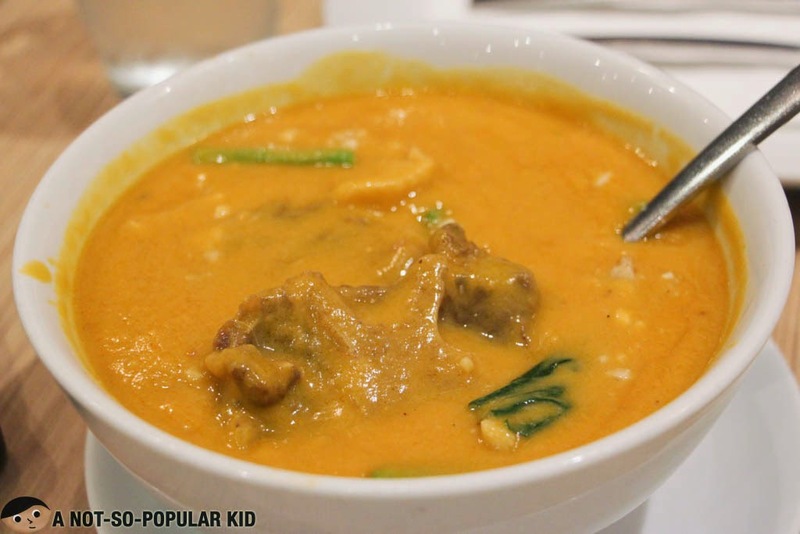 The Kare-kare had this sweet peanut goodness that made the sauce really appetizing and palatable. However, this dish failed to maximize value due to (1) the unappetizing presentation and (2) the lack of ingredients or sahog. In fact, I can't shrug that feeling of being "robbed" by this dish. 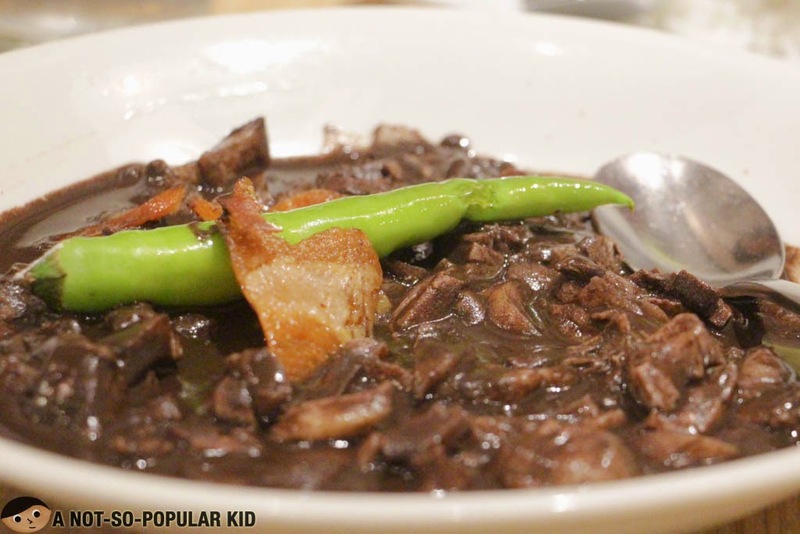 The dinuguan was interestingly sour with mild to no spiciness, and since I don't have a good benchmark for dinuguan, I was able to appreciate the dish! To preserve my good memories with my family, I'm sharing this photo with you. 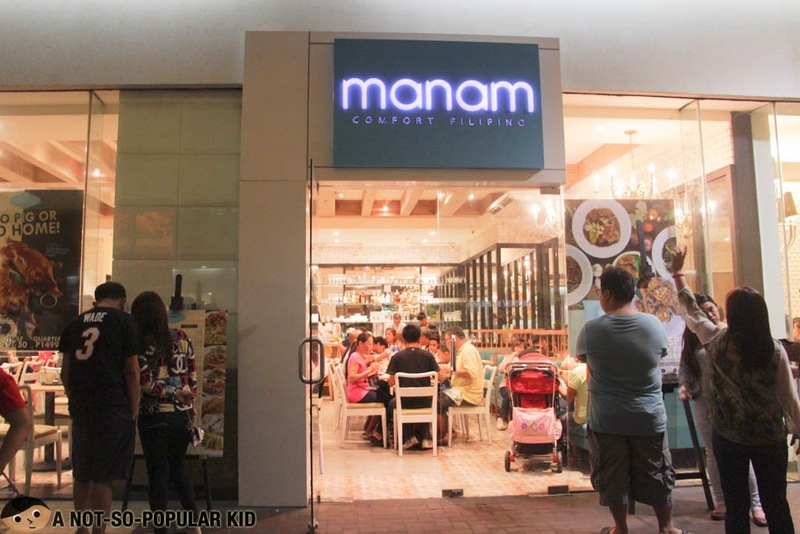 When it comes to the taste of the food we had, Manam certainly counts as noteworthy. However, what bothered me was how the dishes may not be as sulit due to the lack of generosity in the serving sizes.